My mom’s name is Vivian and most call her Viv. 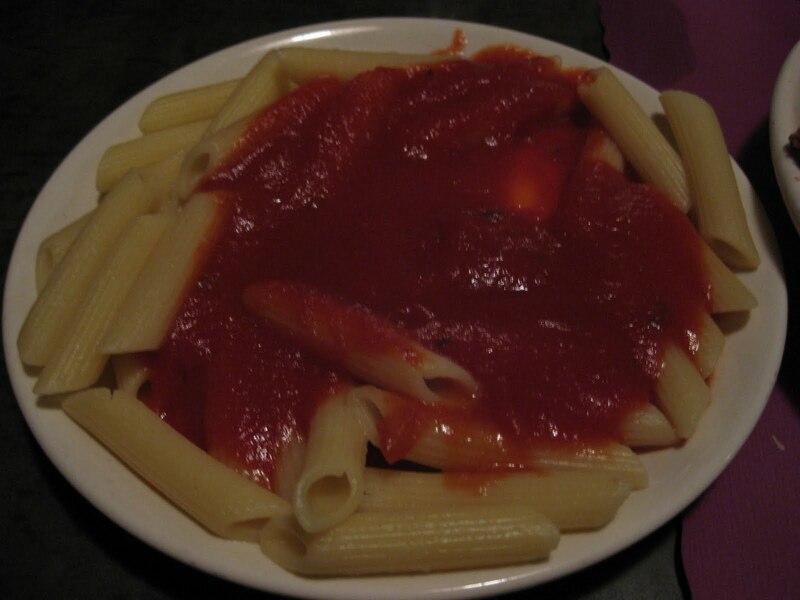 I was home a few weeks ago and one of the things we like to do is to go to Lino’s. Now there is something you need to know about Leno’s. They are NOT open for lunch and they have an early bird special that begins at 4:30. So we got there early because that’s what you have to do even though we had reservations. I was surprised to see people lined up to go in. I was also surprised to see that most of people were well into their 70’s. They know a good deal when they see one. We got into line and the door opened promptly at 4:30pm. Everyone seemed to have reservations but we were quickly taken to our seats. 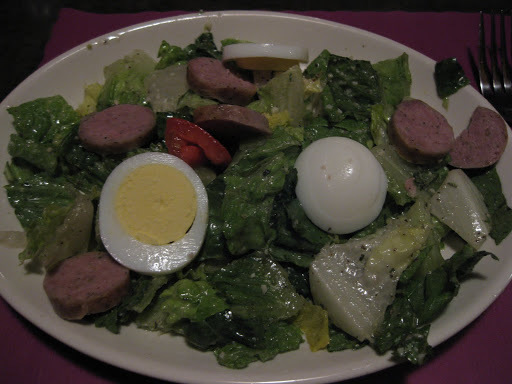 This is their famous special salad. It is delicious and my nephew can eat tons of it. My mom’s favorite Early Bird Special is their cod dinner. You get a salad, fish, choice of potato or spaghetti, ice cream and soft drink all for the price of $8.50. This photo is my mom’s choice. 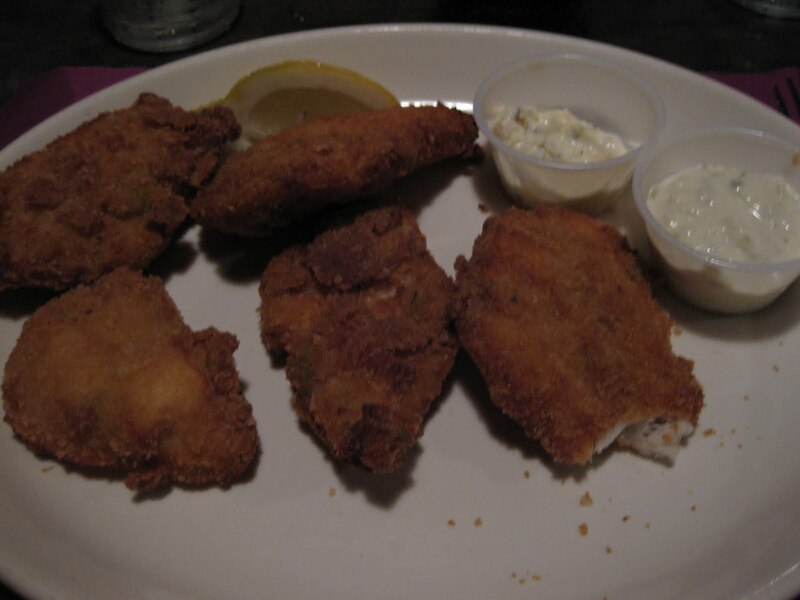 I choice the fried cod. It was so much food that I ended up taking most of the fish home. This was one of the sides they offered. 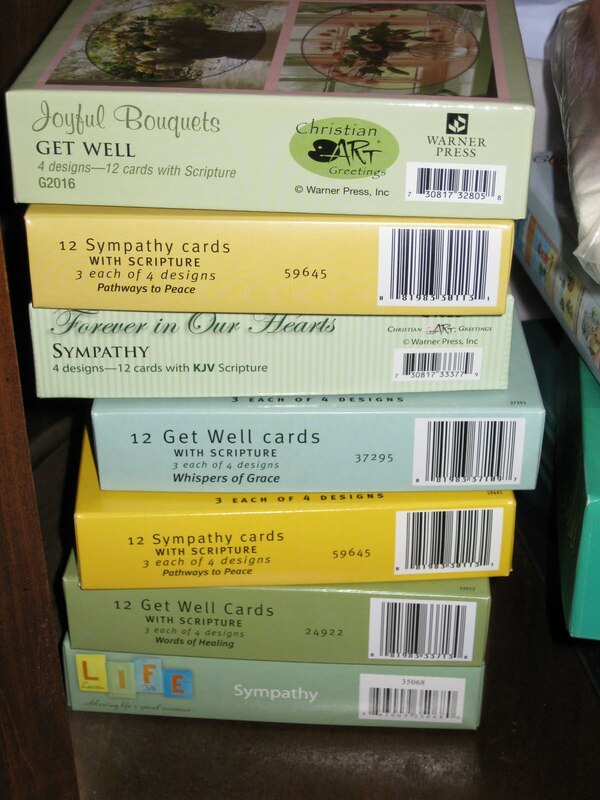 During my stay, I helped my mom get organized for a garage sale. That didn’t include going through drawers but that didn’t stop me. I opened one drawer to find it jammed with pencils. 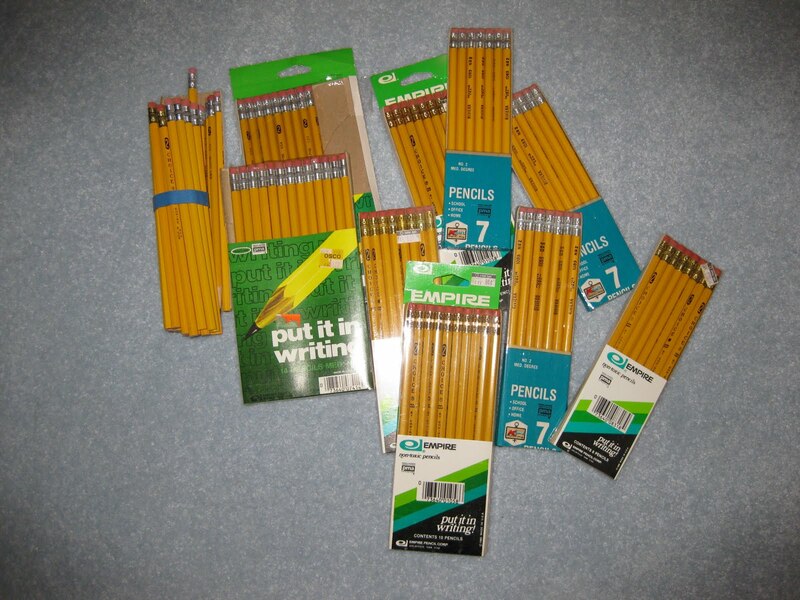 I asked my mom why she had so many pencils and she said, “They were on sale and so I always pick some up when I see them on sale.” She would put them in this drawer and never really looked to see how many she had. She was surprised as well. We gave them to my sister for her kids. 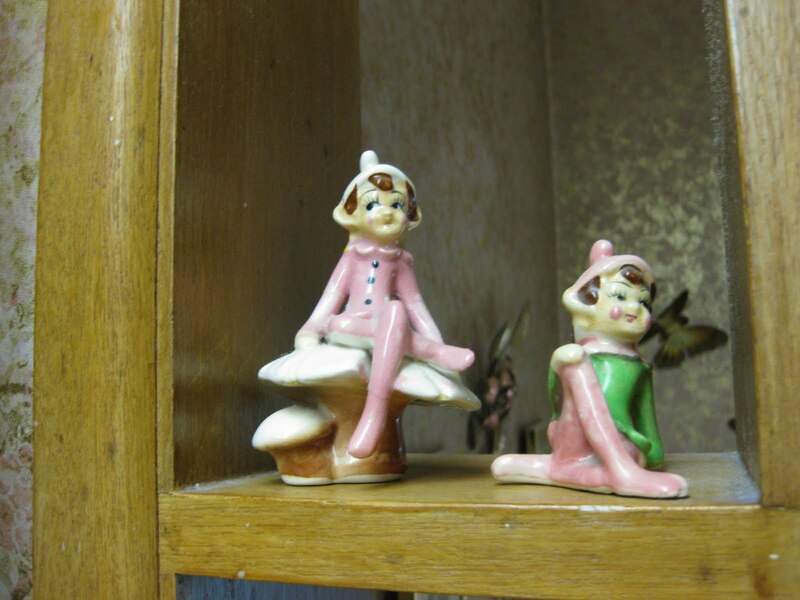 These figurines have been in my parent’s bathroom since the early 70’s. I garbage picked them out of a neighbor’s garbage around 1972. Those were the days before black plastic garbage bags. Back then you could see what people were throwing away. I call her little explanations ‘Viv-isms.” Welcome to my future!